Women’s Tour to Spain In A Small Group Setting to Explore Barcelona, Madrid, Segovia, Castles, Seville, Cordoba and Granada. 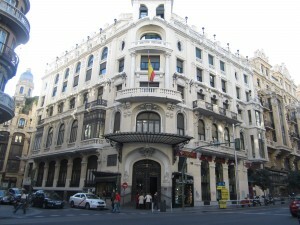 Our women’s tour to Spain is fully escorted, small and upscale. 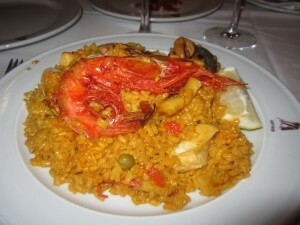 This women’s tour to Spain takes to you Mardrid, Barcelona, Seville, Segovia, Cordoba and Granada. Accommodations are at boutique and 4 Star hotels. Our women’s tour to Spain starts with your pick up at the airport in Barcelona. You will be taken to your hotel in Barcelona, your home for the next three nights. Though Barcelona is Spain’s most cosmopolitan city, it still retains its character as an important Roman town. The old center has one of the greatest concentrations of Gothic architecture in Europe. Barcelona is a big city. 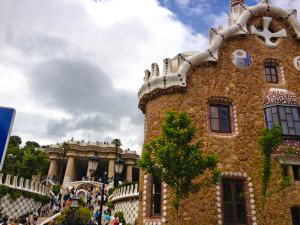 In the afternoon, our guide will take us on a panoramic driving tour of Barcelona and its main attractions, including architectural gems such as Antoni Gaudi’s Casa Mila, Casa Batllo, and the breathtaking Sagrada Familia church, which has come to symbolize the city. You wiil get to see some of Barcelona’s famous squares, boulevards and neighborhoods, including Barceloneta and Eixample, which you may explore later on your own. This morning you will enjoy a guided walking tour of Ciutat Vella (meaning “old city” in Catalan), Barcelona’s medieval quarter. We also visit Las Ramblas, a long promenade to the port bustling with performance artists, and Portal del Angel, a well-heeled shopping strip. 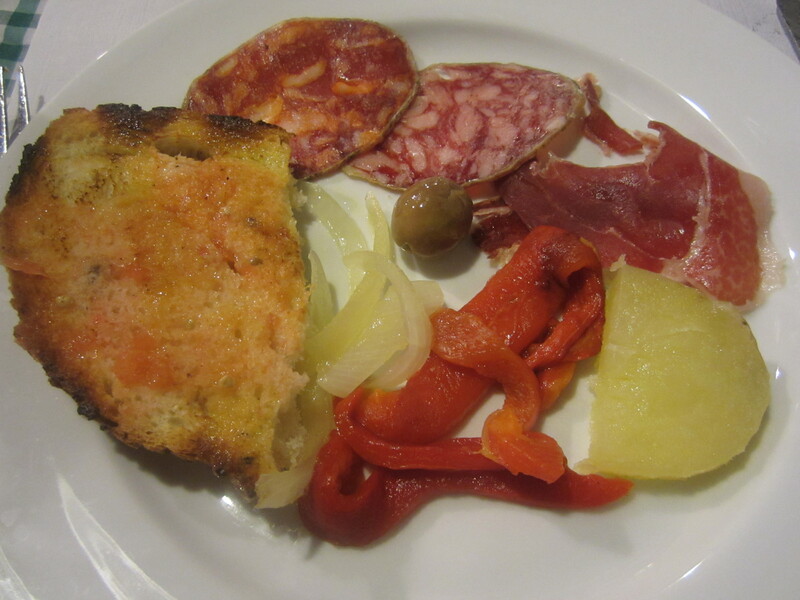 Other interesting sights here include the nearly 200-year-old Mercat de Sant Josep (la Boqueria) produce market. After our group lunch, we will visit the Picasso Museum, containing thousands of works from throughout the artist’s prolific career. The museum is housed in five adjoining medieval palaces, where we will see his most complete collection of works. Today we will have a short day trip to a respectable winery to get us more acquainted to Spanish wines. We’ll sample of their wine before we head back to Barcelona. Today our women’s tour to Spain will take us to Madrid, the largest city in Spain and its capital since the mid-16th century. Madrid came to rise under the Arab occupation of the Iberian Peninsula and passed from Muslim to Christian hands several times in its history, paving the way for the mixture of cultures and architecture that still characterizes the city today. We’ll start off with a late afternoon stroll and visit to the Royal Palace, the official residence of the Spanish Royal Family. With 3,418 rooms, the Palace is the largest in Europe. Our guide will take us on a tour of the Palace’s highlights, including the Main Staircase, with over 70 steps; the Throne Hall featuring velvet walls and an elaborate ceiling fresco painted by Tiepolo; the Baroque-style Gasparini Room, whose walls are covered in silk with gold and silver embroidery; and the Royal Chapel, which houses a collection of string instruments made by the legendary Antonio Stradivari. The Palace also includes masterpieces by such notable Spanish artists as Caravaggio, Velázquez and Francisco de Goya, in addition to rare collections of porcelain, watches, furniture, and silver from various periods. 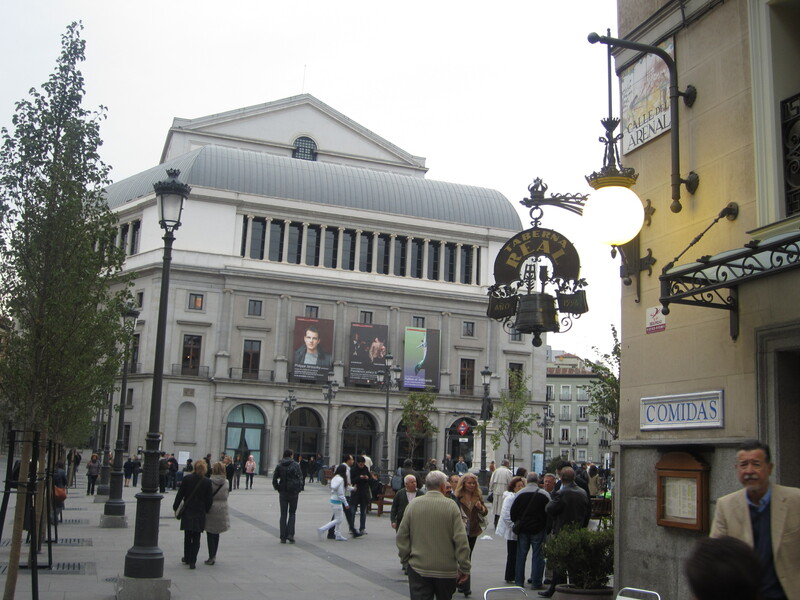 Today, our tour guide will take us to some of Madrid’s highlights: the spectacular Plaza Mayor, virtually unchanged since the Hapsburg dynasty; the Prado museum, home to masterpieces of Diego Velazquez and Goya; and the old quarters and much more. 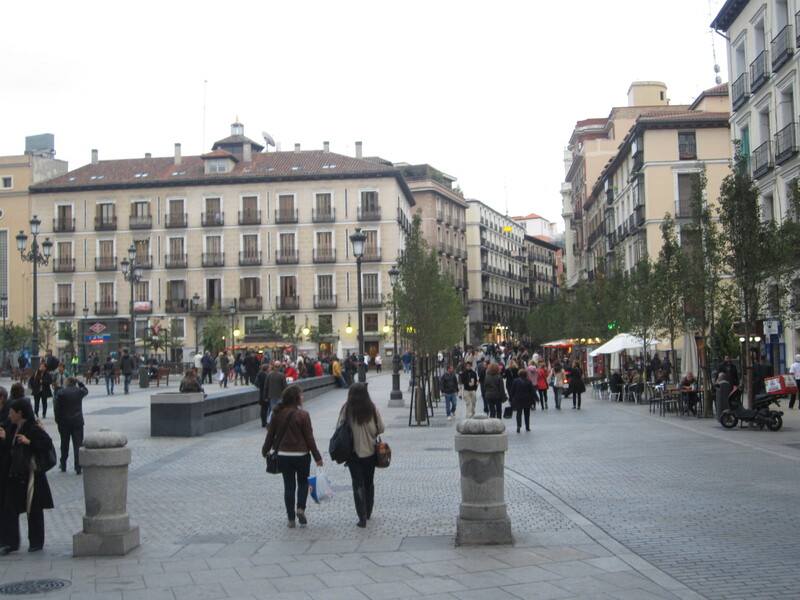 Our tour will begin at the Plaza Mayor, a huge square in the center of Madrid and a popular meeting point for local Madrileños. Other sites we will visit include Puerta del Sol, a 15th century gate that formed part of the original walled city. The square is home to the city’s famous new year’s celebration, whose the famous clock tower rings in the new year and marks the tradition of eating twelve grapes at the bell’s st rike of midnight. 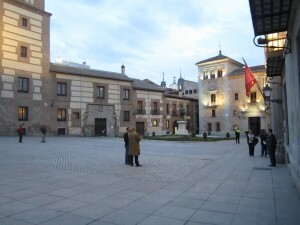 We will continue our guided tour at the Museo del Prado. The Prado is the crown jewel of Madrid’s Art Walk, a triangle of galleries west of the historic Parque Del Buen Retiro. The museum houses one of the greatest collections of Spanish painting from the 12th to 19th centuries, most notably the works of Goya, Velazquez and El Greco. Our guide will provide a unique tour of the Prado, focusing on selected works from Spain’s key artists. Today we will travel by train to nearby Segovia, one of Spain’s most historic cities. Segovia’s many well-preserved sites stand testament to its many eras and civilizations, from ancient Romans to the Moors, Christians and Jews who lived together peacefully in the Middle Ages. We will enjoy a guided tour of the city’s highlights, including the Roman Aqueduct, an incredible feat of early civil engineering built around the 1st Century AD to supply water to a hilltop military fort. Its 221 colossal piers represent one of the grea test aqueducts in Spain, and is one of the few to have survived. We will visit Azoguejo Square, where the aqueduct reaches its highest point of nearly 100 feet. We will also tour Alcázar, an 11th century castle atop a rocky crag overlooking the city. The Alcázar’s interior is decorated in a mash-up of styles, including Romansque, Gothic, Renaissance and Mudejar. The current facade was built by Phillip II, who wed his fourth wife, Anne of Austria, here. Other sites we will visit include Casa de los Picos (The House of the Points), a Renaissance-era house decorated with pyramid-shaped points, and Segovia’s beautiful Gothic cathedral. Today our women’s tour to Spain takes us to Seville. We will take the train to Seville, the former capital of the Moorish empire and is now the 4th largest city in Spain. Sevilles’s Old Town boasts three UNESCO World Heritage sites. Our guide will take us on an exciting walking tour of the city’s sights, including the cathedral, Santa Cruz quarter and Maria Luisa Park. Seville’s sights are layered with history. The Giralda Tower, once a minaret on a Moorish mosque, is now the bell tower for the town’s Cathedral, itself built on a foundation of Roman blocks. The Cathedral is the largest Gothic cathedral in the world, built to show off the town’s wealth. Our tour guide will show us some of the sculptures on its 15 doors and many chapels, ornate gilded altarpiece and the tomb of Christopher Columbus. We will also visit the verdant Maria Luisa Park, originally the grounds of the San Telmo Palace, the parkland that was donated to the city in 1893 and the site of the 1929 World’s Fair. The park is dotted with colorful tiled benches, Moorish fountains and pools, and pavilions of various architectural styles. We will have some time to explore the park and its many hidden treasures. Today our exploration of Seville continues with a tour of the Alcazar de Seville, the oldest royal palace still in use in Europe. Originally a Moorish fort, the palace is one of the best remaining examples of Mudéjar-style architecture. 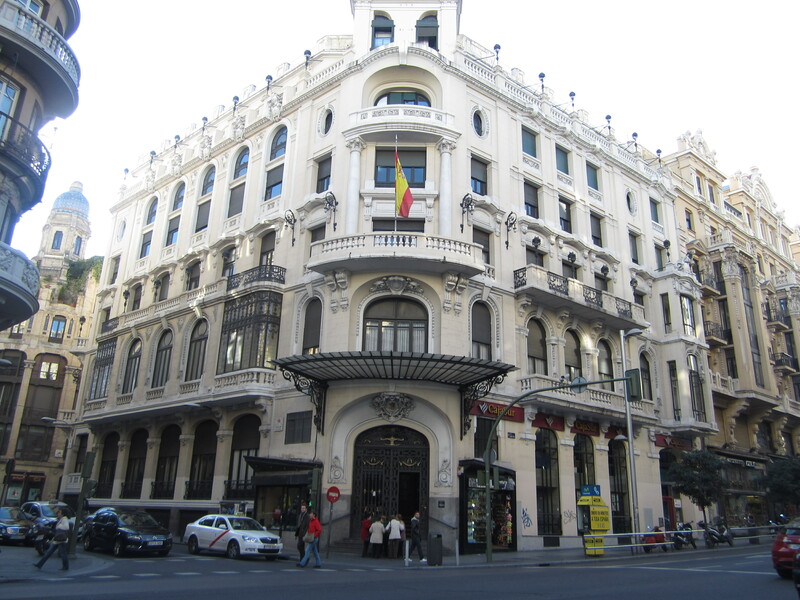 Though initially commissioned by Pedro I, many monarchs expanded on the complex over time, leading to the eclectic blend of architectural styles found here today. We will explore its Moorish gardens, vast courtyards and halls with soaring ceilings. Highlights include the Salón de Embajadores, whose gilded 14th century dome is made of interlaced wood, and the Salones de Carlos V, which contains a Gothic vaulted hall adorned with tapestries and painted, tin-glazed, ceramic tilework called azulejos. 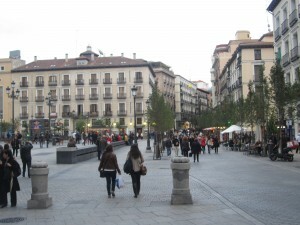 Afterwards, we will visit an artisan’s market, where you can find locally made ceramics, silverwork and other crafts. You will have the afternoon to do as you please. If in season (typically only held a few weeks out of the year), you may be interested in seeing a bullfight. Today, our women’s tour to Spain takes us to the ancient town of Cordoba before heading to our final destination, Granada. As the highest navigable point of the Guadalquivir River, Cordoba was a critical port city, used for shipping olive oil, wine and wheat back to Ancient Rome. We will tour the Mezquita, Cordoba’s intriguing Mosque–Cathedral, initially built as a mosque when Cordoba was the capital of the Moorish kingdom called Al-Andalus. After several centuries of additions, the Mezquita became one of the biggest and most beautiful in all of the Islamic empire. When the city was taken back over by the Christians in the 11th century, they built a cathedral around its arches and columns, creating the stunning hybrid piece of architecture we will tour today. The Mezquita includes more than a thousand columns, and is also notable for its double horseshoe arches made of jasper, onyx, marble, and granite. After our free time to explore and have lunch, we will visit the Alcazar (Fortress), once the residence of King Ferdinand III after the Spanish Christians seized Cordoba from the Moors. We will also enjoy a stroll through Cordoba’s medieval and formely Jewish quarter, a maze of winding streets, garden courtyards and charming plazas.